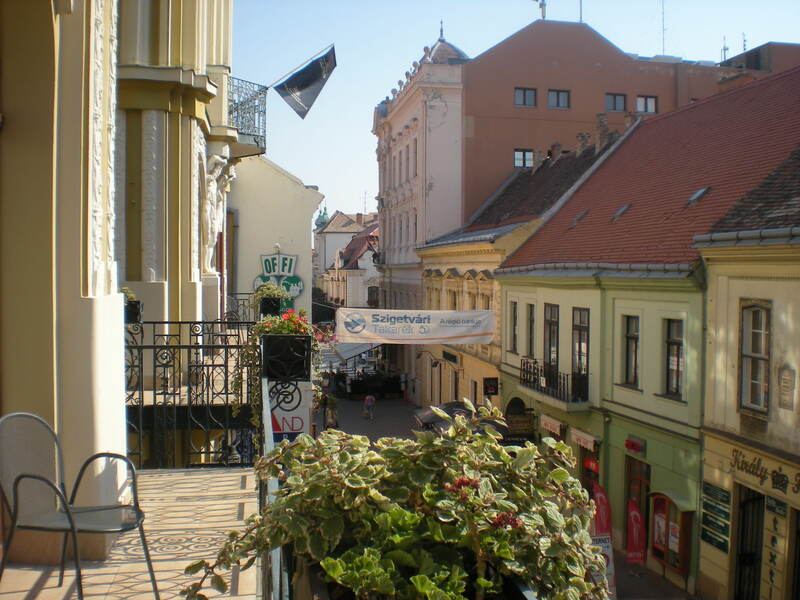 Pécs is in south west Hungary in the region called Southern Transdanubia. 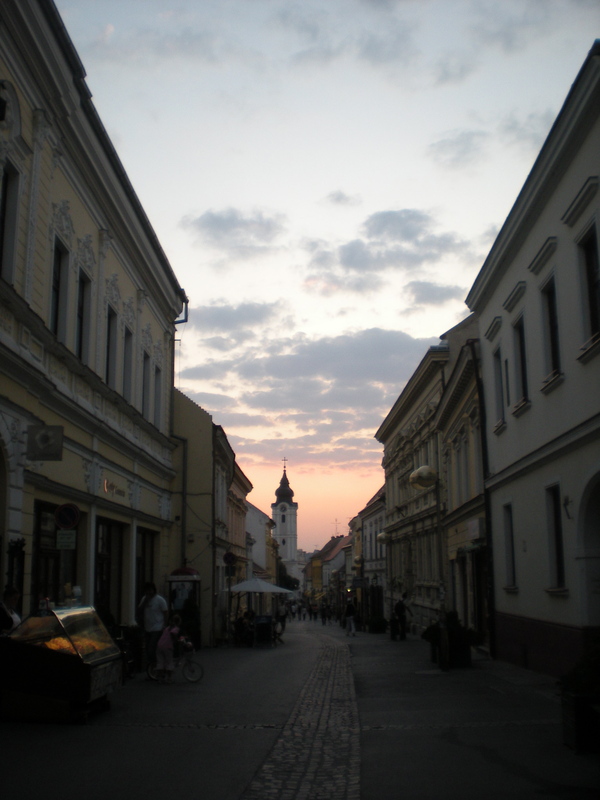 Pécs is pronounced like Paych. 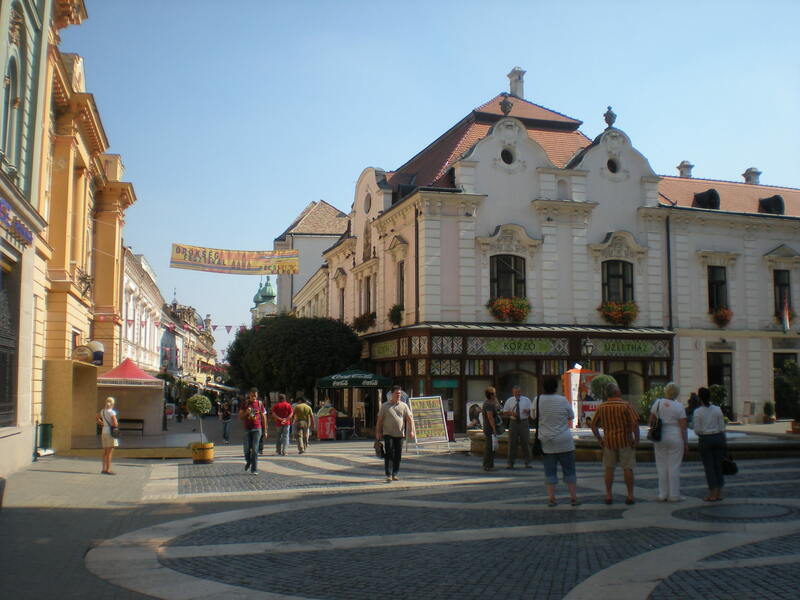 This region of Hungary houses Lake Balaton, some of the country’s finest vineyards, and the fifth largest city in the country, Pécs. 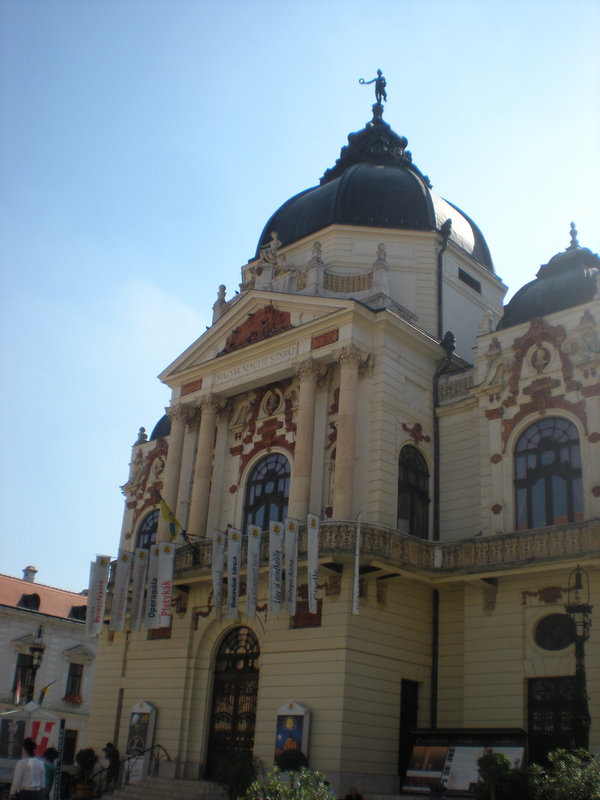 Other than Budapest, Southern Transdanubia is the most frequently visited region. 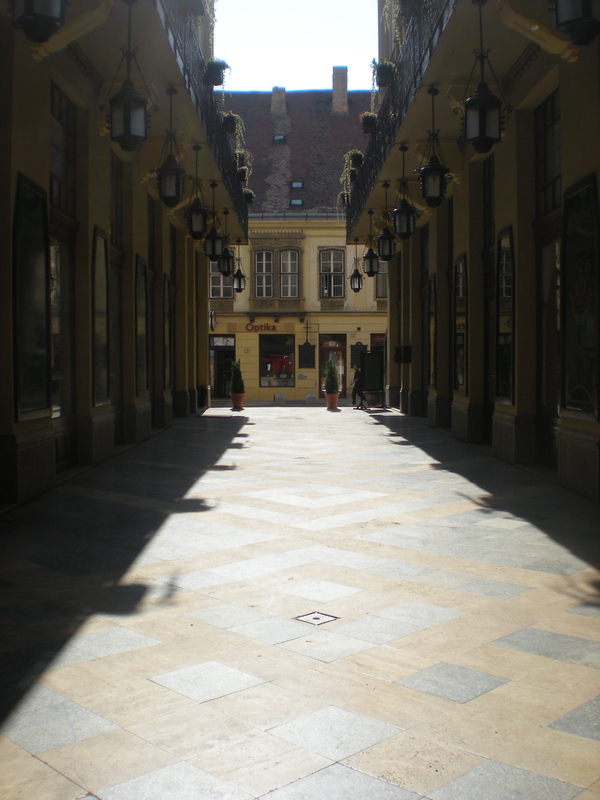 Not only do people pass through the charming cities on their way to Croatia and the sea, but as the sunniest region in the country, it is just a lovely place to vacation, sample wines, and tour around a more quaint Hungary. 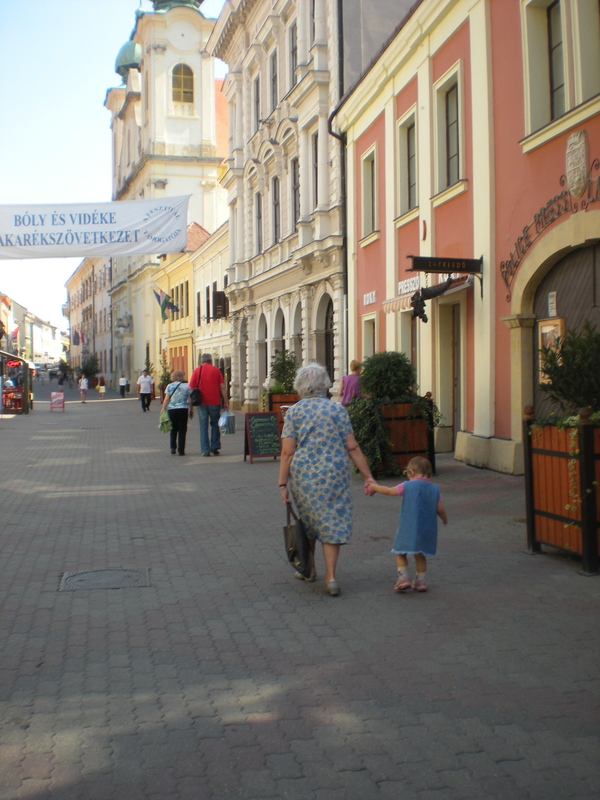 Pécs is a real mixture of cultures. Founded by the Romans in the 3rd century, it was the epicenter of Roman Christianity, and the tombs are still visible today. But there is also a very Turkish feel to the city. The turks invaded in the 15th century and there are still many mosques and other Turkish artifacts. But you don’t get any sense of conflict, bitterness, you-invaded-us-hard feelings. 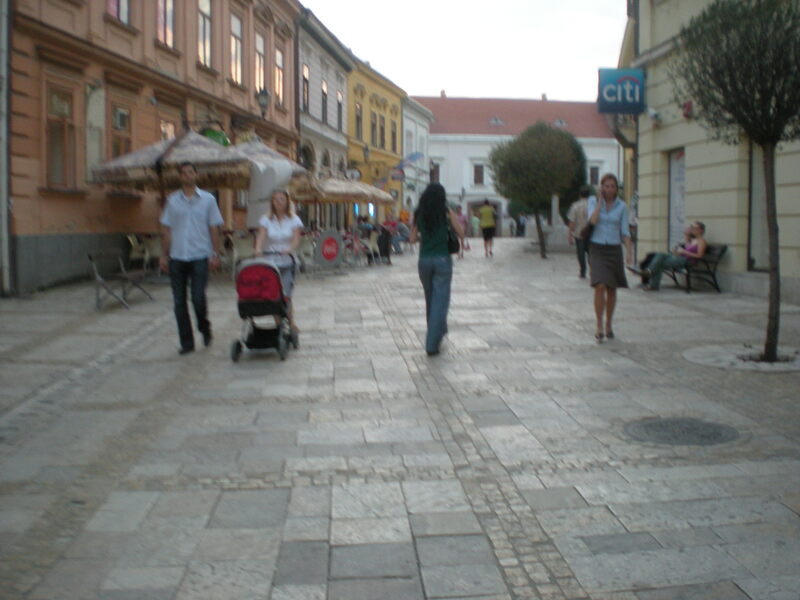 Pécs prides itself on being a multicultural city, “boarderless”, which is partly responsible for its being chosen as European Capital of Culture, 2010. 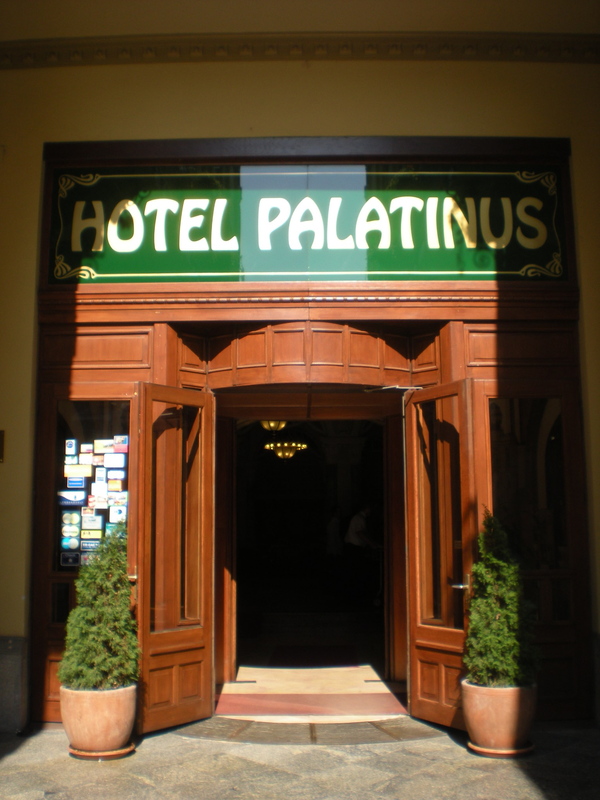 We stayed the night at Hotel Palatinus, which is situated right in the city center. 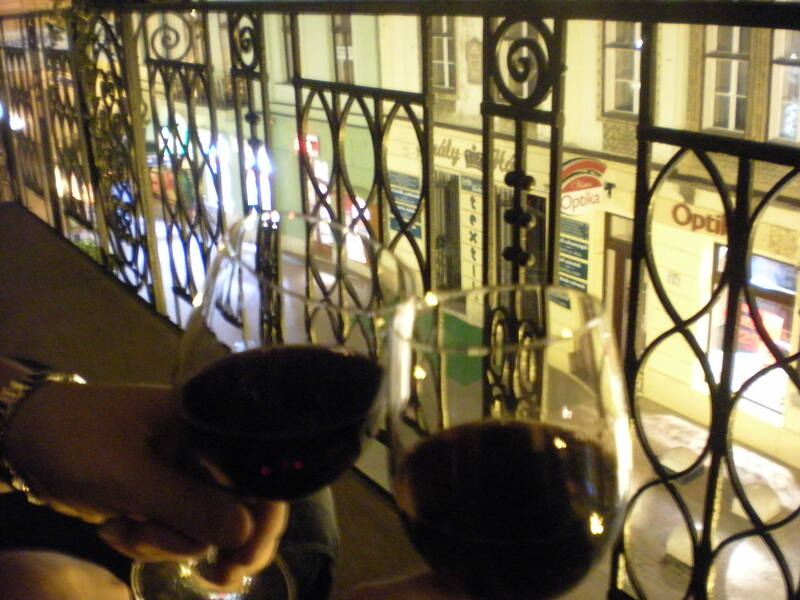 We had a fabulous wrap-around balcony that looked out over the main walking, shopping, and posh eating area. It is a 3-star hotel, which means there is barely an elevator, no air-conditioning, smaller rooms, and not the most stunning customer service. 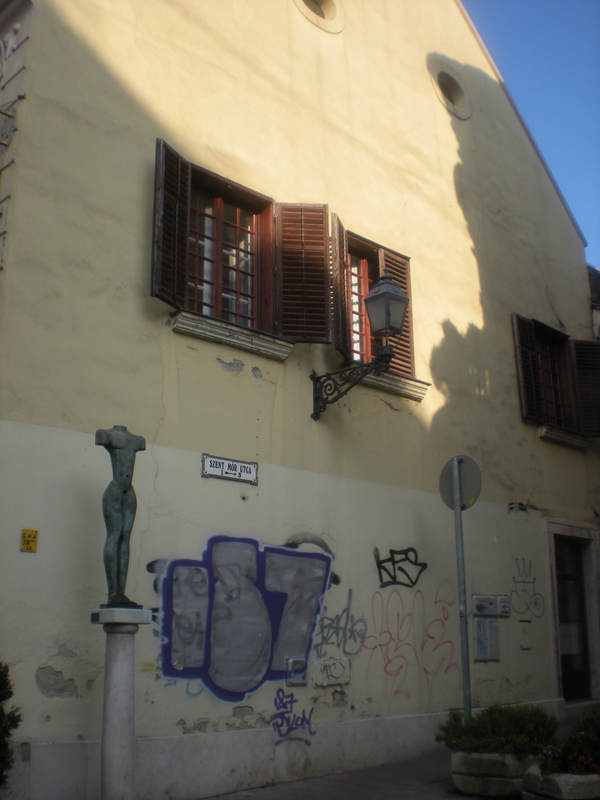 But the look of the hotel is quite charming (Secessionist) with an old-world style renovated in Art-Nouveau. Plus, it’s hard to beat the location. And based on some of the other hotels we’ve stayed at in Europe, if they installed air-conditioning and updated some of the furniture and fixtures, it would easily be comparable to a 4-star hotel in Eastern Europe. 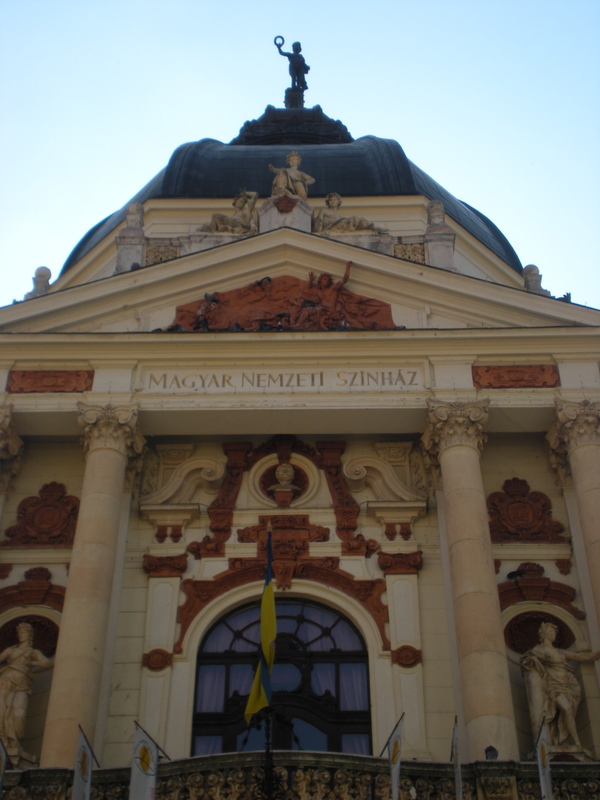 Right around the corner from the hotel is Széchenyi Square, which is the medieval center of the city and home to Gazi Kasim Mosque (or as known as today: Inner City Parish Church of St. Mary). We went inside of the mosque/church and it was really fascinating. 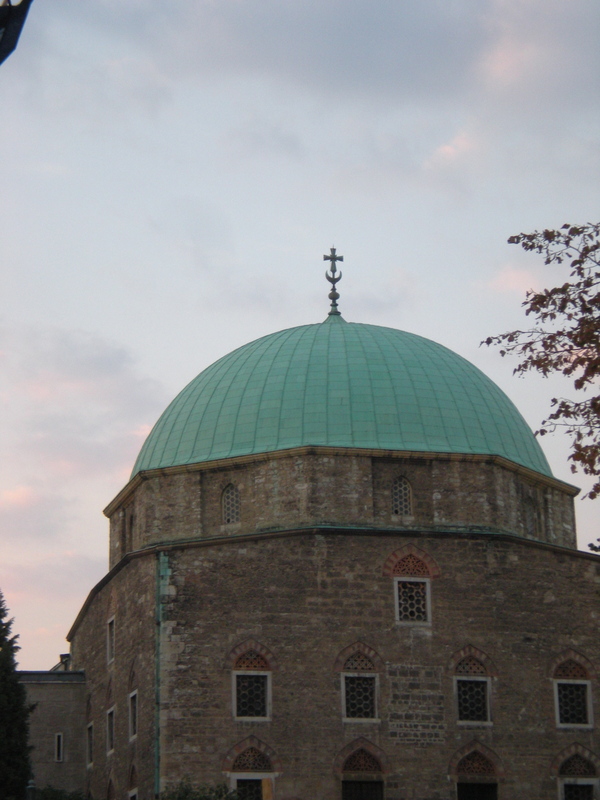 Basically after the Ottoman Turks left, the place was christened as a church, but they left the crescent moon and cross of Islam. There are also places inside of the church where you can see the old frescoes in Arabic. It was very interesting and beautiful. 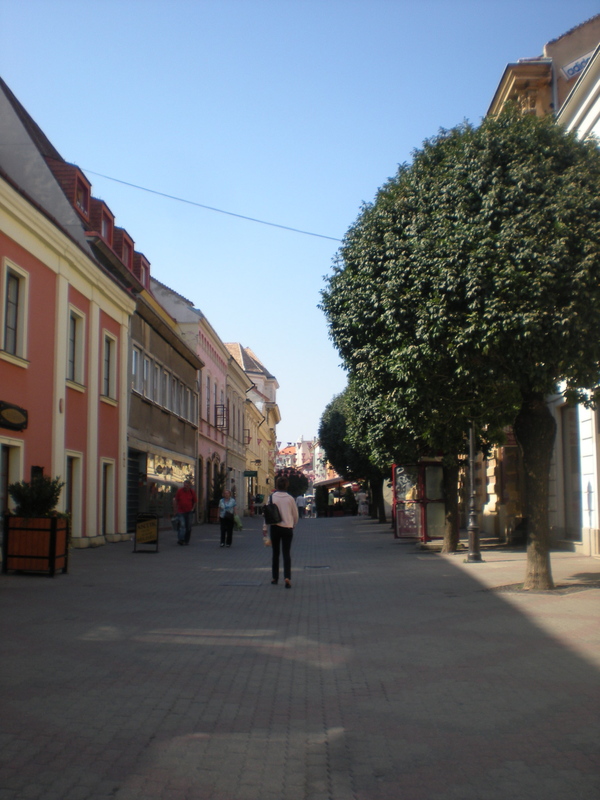 The whole square is otherwise blocked off, however, due to the fact that the city is preparing for the tourists hoards coming to visit the capital of culture. Almost every street had construction going. But my assumption that it will all be finished and ready for tourist season next year, looking more charming and shinier than ever. 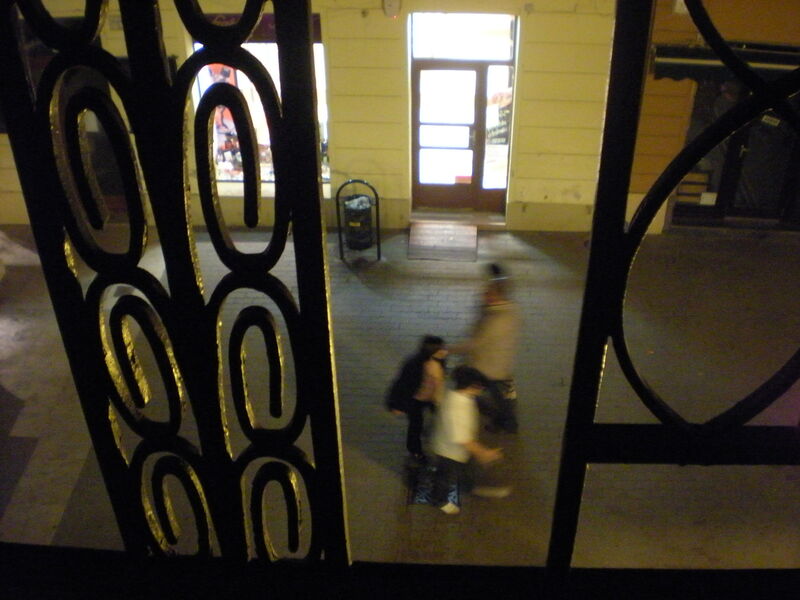 The main pedestrian area is Királyi utca, which is where our balcony overlooked. 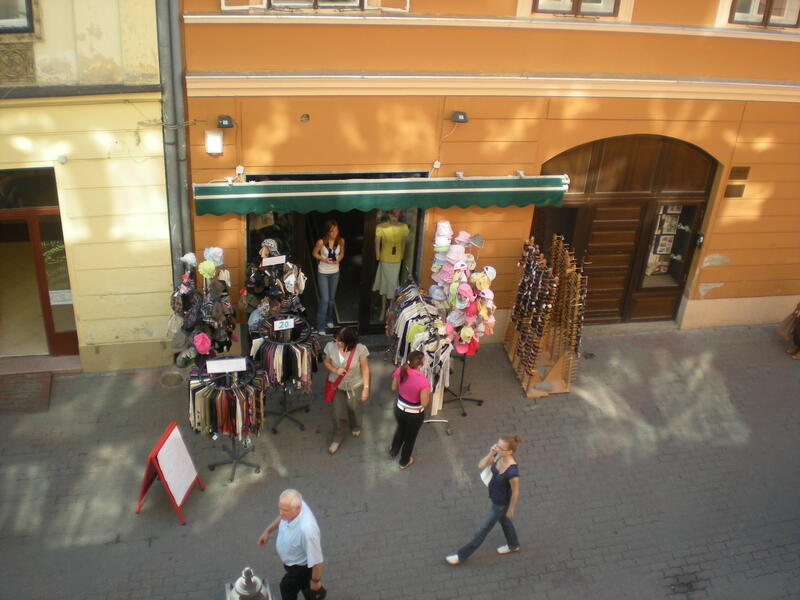 It’s brimming with shops, art galleries, baroque churches, and friendly cafes. Well groomed trees and flowers and the requisite water fountains of course were everywhere. These pictures were taking on a Thursday afternoon, and you can see, it’s just a slow-pace city. People are outside, still eating ice cream, walking dogs and grandkids. Later that night, at the Irish pub, there was a bagpipe band and about 100 rowdy Irish students (from the very famous University of Pécs) celebrating Arthur Guinness’ birthday by singing songs and dancing in the streets. So you see–just your average day. There were a lot of things going on, actually. An art fair, some kind of running race, and a concert that weekend. September was the celebration of the wine harvest, so every single night there was some kind of activity, concert, reading, event, etc. I’m learning that September is really the most ideal time to visit this part of Europe. 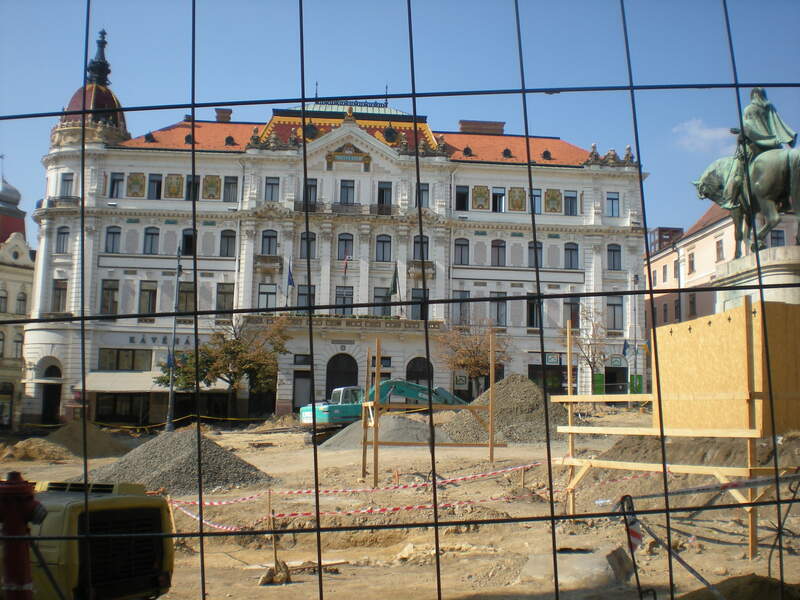 That evening we walked to the other side of the main square to investigate what was going on beyond the loud pedestrian street and construction. 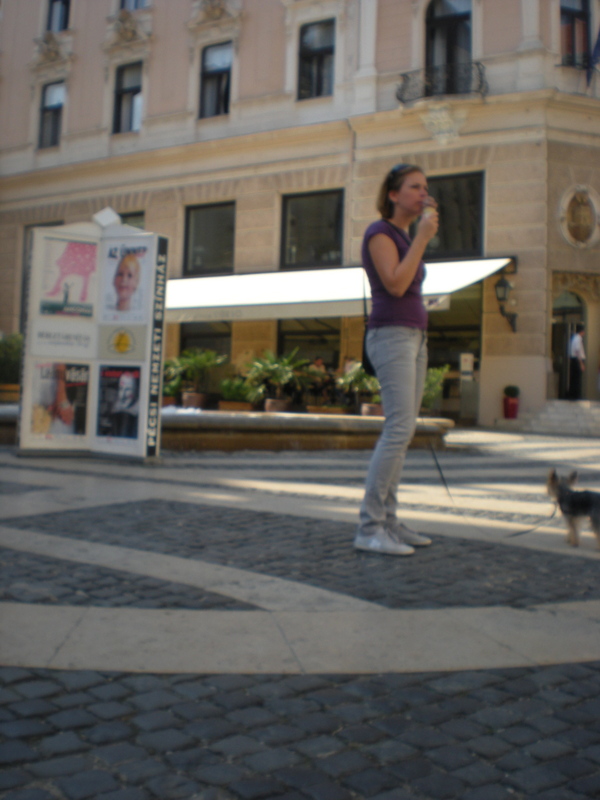 And it was another charming square with fountains, people, and interestingly two Bolivian performers playing the windpipes and singing. 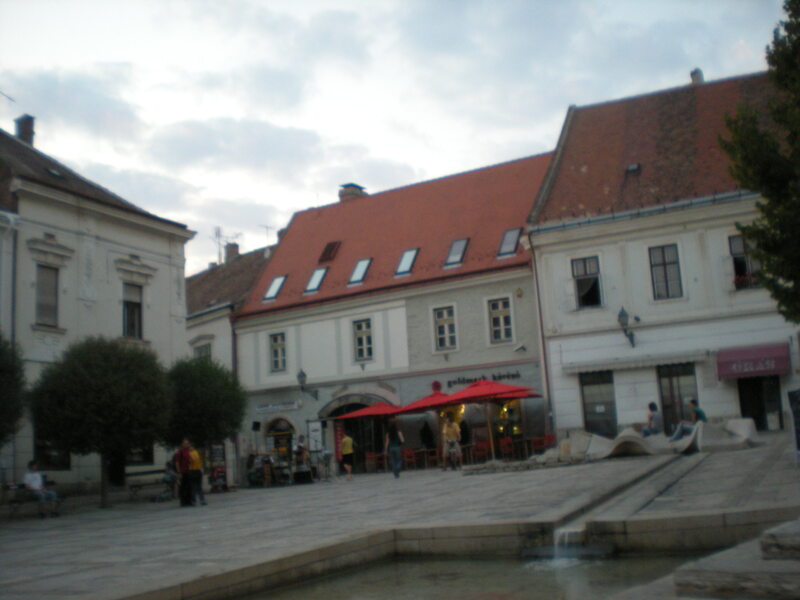 We decided to stop and have dinner right in the square at a restaurant called Barrus Étterem. 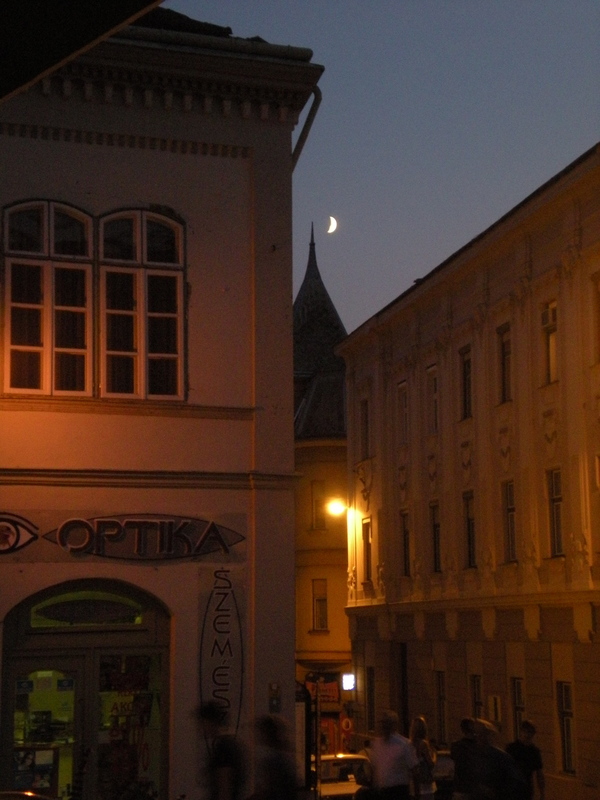 As we ate, a little sliver moon was rising over a church in the distance. The musicians were playing, people were sitting on sculptures and listening, while others ate and laughed and drank wine. In the fountain, a mother was letting go of a little handmade boat so that her son could chase it down the water’s incline and catch it at the little pool, where a golden retriever had decided to take a rest too, from the day, and lay his whole body in the water. And it’s in exactly these moments when I feel I might be imagining it all, or romanticizing it. Even though it’s just how it is. And I get a real joy knowing that I get to experience things that are so different than the expectations of a place, of this part of the world. We ended the night with a bottle of red wine from the region famous for it. Even though we didn’t stay up too late, we were up late enough to hear the sounds of the bands in the cafes die down, and the storefronts turn down their lights. To our right the bell tower gave a ring at each quarter hour and I couldn’t help imaging, for a moment, what it would have been like to be in a place like Pécs a few hundred years ago. So much education and invention and art and multicultural congruity. I felt proud, I guess. 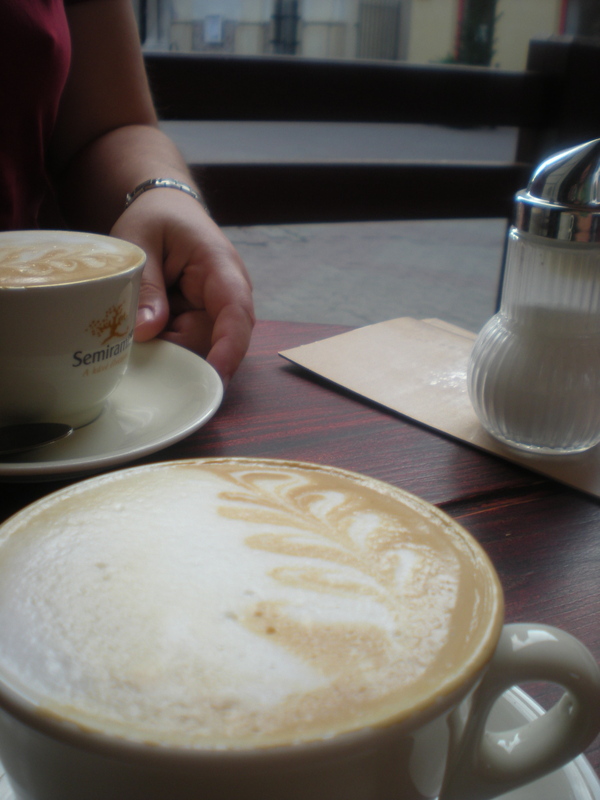 We went out early the next morning to have a cappuccino at one of the opening cafes. It was still early and almost no one was on the street except for the two women in the watering truck pulling their carts along the bricks to water the flowers and trimmed trees. It was going to be another warm day. You could tell by the early opening of windows. Even though we didn’t get to spend more time in the city, I can’t wait to go back. There is a long weekend holiday coming up at the end of October, so maybe we’ll head down there then. 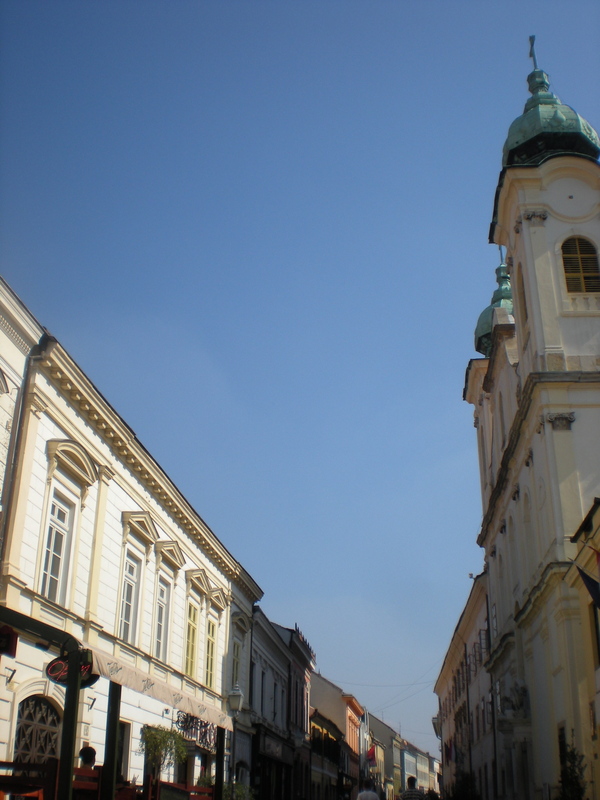 And if you are visiting Hungary and need a list of cities to see–day, night or whenever in between, Pécs is a absolute must Hungarian destination.